Accenture, Dublin, Ireland - High Performance. Delivered. Accenture - High Performance. Delivered. 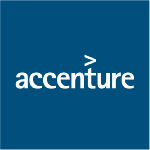 Followers receive updates on new jobs or opportunities posted by Accenture.